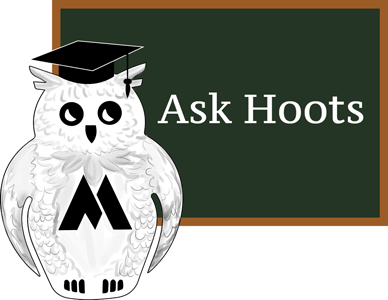 Our knowledgeable mascot Hoots is here to help! Today you have more options with dishwashers than you have ever had before! A standard dishwasher is 24" wide but you can also get dishwashers today in a variety of different sizes. You can get 18" wide compact units, 24" wide units that are in drawers or even a jumbo sized 30" dishwasher! Dishwashers come in a variety of different finishes. The standard colors that are available from most manufacturers are white, black and bisque and stainless steel. Some more specialized companies like Viking offer there dishwashers in a variety of custom colors. If you like a more custom look many dishwashers give you the option of concealing the dishwashers front with wood that matches your cabinetry. Whatever your taste or budget, Michael's Appliance Center will have a product that will fit your needs. Clear Glassware is cloudy or gray tinted after wash cycle, and dishware feels "dirty"
First of all, DO NOT RINSE DISHES CLEAN BEFORE LOADING DISHWASHER. Burned on or baked on foods (such as melted cheese) and solids (such as bones) need to be cleaned off, but everything else SHOULD GO IN THE DISHWASHER. Your dishwasher is designed to handle these foods, and without them there are no proteins for the detergent to bind to. The resulting excess detergent is left in the pump inlet and is recycled during the rinse. Also, DO NOT FILL BOTH DETERGENT CUPS WITH DETERGENT UNLESS YOU INTEND TO DO A PREWASH IMMEDIATELY AND A NORMAL/HEAVY CYCLE LATER ON. Most machines need only 2-3 tablespoons of detergent to operate correctly. In households with water softeners, this could be as little as 2 tablespoons, or half of a powder tablet. Again, too much soap here will be left in the inlet later. Unless doing a prewash, put detergent in the main soap cup ONLY. Our experience has been that powder detergents with no additives or rinse agent do the best job of cleaning, and Jet Dry™ should be used ONLY IF THERE IS WATER SPOTTING OR OTHER WATER SHEATING ISSUES. Severe cases of over soaping will require a cleaning agent such as Dishwasher Magic™ to be run through the machine. Michael's Appliance Center carries a full line of products to help remedy this common problem. I started my dishwasher after dinner last night, and this morning it is still running! Assuming that the hot water heater in the house is functioning normally, the test to see if this is machine related is easy. Before running the dishwasher, run the HOT water in the kitchen sink until water is as hot as possible, then run the dishwasher. If this solves the problem, THE ISSUE IS NOT WITH THE APPLIANCE. The heater in the dishwasher is not really designed to heat the water so much as just maintain the temperature, so if cool or cold water is introduced into the machine the machine will run "forever" trying to heat the water to the correct temperature. Newer dishwashers use very little water, and sometimes the cool residual water left over in the hot water plumbing is sufficient to fill the machine. When this happens, the temperature of the water is not hot enough for the dishwasher to maintain temperature. My silverware doesn't come clean. What's wrong? This is the hardest item for a dishwasher to get clean. To get the best results from your dishwasher it is a good idea to keep your silverware separated from each other and to put them in handle down into the basket. For safety reasons it is recommended that knives go in face down, if you put knives into the dishwasher. What about my pots and pans? Why don't they come clean? These are the items that every customer asks about when they are looking to buy a new dishwasher. There are a few things to keep in mind when it comes to washing these items. The first thing that you want to check is if the manufacturer of the pot recommends that it be washed in a dishwasher. Many of these items are not designed to be, and therefore shouldn't be cleaned in this manor. If the manufacturer has no reservations about their cookware being cleaned this way, keep a few things in mind. First off, if you have a pot that is deeper than half of the distance between the upper and lower rack, wash it by hand. The pressure of the water coming from the bottom spray arm may not be enough to reach or effectively clean such a deep item. This is just a quick over view of some common problems and questions that we get on a regular basis from our customers. If you have any specific questions please feel free to contact anyone here at Michael's Appliance Center and we would be happy to help you in any way that we can. Today there are more options for laundry products than there have ever been. Top load washers, front load washers, top load washers without an agitator, and even top loading dryers. With all of these choices things can get a little complicated especially if it has been some time since you last had to buy a new machine. Top Load vs. Front Load, what really is the difference? There are many differences between your traditional top loading washer and a front loading one. To clean clothes, there are a few specific things that need to happen. You need to have heat; this is usually provided by the water. You need to have a chemical reaction; this comes from your detergent. And you need to have some mechanical action; this is the clothes rubbing against each other and the side of the drum. In a top loading washer you need to fill the entire tub up with water to make sure that you have the specific temperature to all of the clothes and that you have a conduit for the detergent to get to all of the clothes. To create the mechanical action needed, the agitator turns opposite of the washers inner tub in order to draw the clothes from the top of the tub down to the bottom. This in turn will force the clothes at the bottom up to the top. Your better top loading washers will turn the clothes completely in the drum about 3 times per minute. Once the cycle is complete, they spin the clothes as fast as they can to get as much water out of them as possible.This is the way that we are all used to washing clothes, and let's face it, it works pretty well! However for as well as it works there are other alternatives. Take a few minutes to read the following and see if this makes sense to you. Front load washers work basically the same as top loaders. Water acts as a conduit for heat and to disperse the detergent and the tumbling action helps the clothes to rub against each other and against the drum and they spin at the end of the cycle. Doesn't sound like anything all that different until you look closer at how it does it and the resources that it uses to do it. Let's start with the water. In the top loader the tub needs to be filled to saturate all of the clothes. A complete regular wash cycle (one main wash and one rinse) usually uses between 45 and 50 gallons of water per load. a comparably sized front lading washer in a complete regular cycle (one wash and three rinses) typically averages around 15 gallons of water per load. That is a savings of at least 30 gallons of water per load, and believe me, that can really add up over time! This leads us directly to heat. Since water is the source of the heat, in a traditional top loading washing machine you are limited to the heat that the water coming from your hot water tank is set at. Most hot water tanks are set for temperatures between 120˚ and 130˚. This is plenty hot for most types of washing. However if you would like to sanitize your wash or really want to get your whites as white as you can, you will need much higher temperatures. Since the front loading washers use so little water they are able to add water heaters into the machines to raise the temperature to much higher levels. The machines equipped with these temperature boosters can heat the water between 140˚ to up to 205˚. Now, you don't want to heat your water that hot for all of your laundry, but there are times when that can come in handy. Do I really need "HE" Detergent? Now that we have established that we use considerably less water in a front loading washer, we need to talk about detergent. The amount of detergent you use has little to do with how dirty your clothes are and everything to do with how much water that you use in the washer. It is a very simple concept; the less water that you use, the less detergent that you need. That being said, most of your front loading washers only need about an eighth of a cup of detergent on a regular load. Using too much detergent will actually make your clothes look dull, and can have some long term effects on the function of your machine. If you are not sure if you are using too much detergent or not, all you need to do is answer one simple question- Can you smell your laundry detergent on your clothes? If you can, then you are using too much detergent. Just remember; Clean doesn't smell. My clothes keep "pilling" and making lots of lint in my front loader; This thing is junk! Believe it or not, this isn't your front loader being bad! Pilling and excessive lint are most commonly related to using too much detergent, and this is a common problem when customers go from top-load to front-load machines. Lower water levels mean less detergent is needed. Most users of top loaders use 15-18% more detergent than they need; add this to less water in the new machine and you have a disaster in the making. Using too much detergent will actually make your clothes look dull, and can have some long term effects on the function of your machine. If you are not sure if you are using too much detergent or not, all you need to do is answer one simple question- Can you smell your laundry detergent on your clothes? If you can, then you are using too much detergent. Just remember; Clean doesn't smell. Front loading machines with moderately hard water (8-10 grains) will use only about 1/8 cup of detergent for a FULL load. Now that we have established that front load washers use less water and can achieve a greater wash temperature, let us talk about that mechanical action. Remember when we talked to you about how the top loader uses the agitator to force the clothes to move from the top to the bottom of the washer? Well, a front loader will do that too, only in a different way. To move the clothes from the top to the bottom, a front load washer rotates the entire drum and its contents together at the same time. This is a much gentler way to move the clothes about and can lead to a longer life span for the clothes. Since they move the entire tub together they can rotate the clothes up to 60 times per minute! This is a huge difference from the top load washers. When the wash cycle is all done, both of the machines go into spin cycles. The purpose of a spin cycle is to extract as much water as possible from the clothes so the dryer can dry them as quickly as possible. Most of your typical top load washers will spin the clothes around 400 rotations per minute (RPM's). This is a good speed for many items, however we all know how much longer it takes to dry a load of towels vs. a load of delicates. Front load washers give you the ability to choose much faster spin cycles. Most of the front loading machines will spin out between 800 and 1000 RPM's with some specialty machines reaching speeds as much as 1400 RPM's. As you can imagine that same load of towels will come out much much dryer at those increased speeds! To sum it up front load washers use less resources and clean your clothes better than what top load machines can. We are not trying to say that a front loader is the answer to all of your laundry woes, but they sure do make sense. If you have more questions regarding front load washers please feel free to contact us here at Michael's Appliance Center and we will do our best to help you. My Glass-Top electric range is discolored. Can anything be done to fix it? Unfortunately, once a glass cooktop is discolored there is often little that can be done short of replacing the top. The discoloration comes from proteins and minerals being burned into the top. Boiled over liquids such as from boiling potatoes are full of starch along with whatever mineral is in the water, and the resulting mark on the glass isn't so much a stain as it is actual embedding of material into the surface. Michael's Appliance Center carries a full line of cooktop polishes and cleaners, and our helpful staff can direct you in the best course of action should this occur. • Clean it using warm, soapy water and a clean sponge or soft cloth. The food in my refrigerator crisper bins keep freezing. I set the fresh food temperature way up, but it is still happening and now the other food is getting warm. HELP! This is a common problem; In actuality the FREEZER is set too cold! All of the mechanical cooling occurs in the freezer, and then fans move the cold air into the refrigerator as needed. If the air is too cold, then food in the refrigerator will begin freeze, usually in the crisper bins first. Turning the fresh food temperature up (warmer) won't help as the air coming in is still too cold, and then the second problem of everything that is not in the crisper drawers getting too warm occurs. Purchase a refrigerator thermometer if you don't have one and set the freezer so that the temperature is 0° and the fresh food section is 37°-40°. This should solve the problem. • Check the refrigerator’s ice and water filter cartridges, because they might be clogged. Replace the filter cartridge if needed. The lamps in my range hood keep blowing out!! Two things usually cause this: excessive vibration and/or the wrong lamps being used. While it is certainly possible that the voltage to the hood is the culprit or that there is something wrong with the power circuit in the hood itself (for low voltage halogen equipped hoods), most of the time we see either the wrong lamp installed or poor installation of the hood itself. If the hood is not secured to the wall properly (this means following the manufacturers installation instructions), the vibration of the blower when the unit is on will shorten the life of the lamps considerably. Also, just because a lamp LOOKS the same doesn't mean it is the same; A $1.99 lamp at the retail chain store will not have the same filament construction or supports as the $20.00 factory lamp. There really is a reason for the price difference! I just purchased bags for new Miele™ vacuum cleaner. What are the little white filters in the box for? Those are motor pre-filters, and they go into your new vacuum behind the bag. When you open the top and remove the bag you should see the filter standing on edge on the back wall of the bag compartment. This filter needs to be replaced on a regular basis, even if it doesn't look dirty. There are several replacements in each bag of Miele™ filters; you don't need to worry about running out.